Building with earth and materials dates back centuries, but an earthbag house engineered by Precision Structural Engineering is anything but antique. Dirt is the most fundamental element of earthbag construction, and it is the most abundant element on earth. Earthbag structures have been employed for many years and boasts a variety of uses. 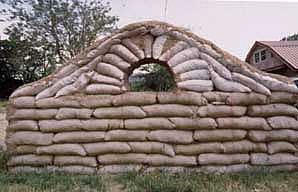 These include flood control and temporary shelter during times of war. The principles that made this a sound choice in the past make earthbag building for residential or commercial use an innovative sustainable building strategy for the future. Earthbag structures are still used by many people throughout the country simply because it works. 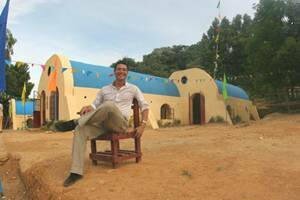 Nothing compares with the beauty of an earthen home such as earthbag building. 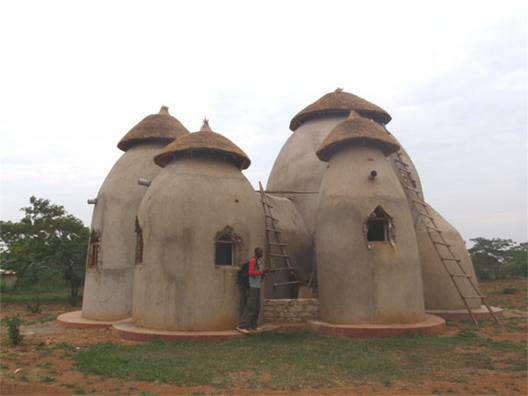 For protection from the sun's rays, earthbag buildings are typically covered with a plaster. Nothing compares with the beauty of an earthen home such as an earthbag building. Complete the short form below and receive the “Building your Sustainable Project” eBook free! Credit for developing contemporary earthbag construction goes to Architect Nadel Khalil and Illiona Ourram of the California Earth Art and Architectural Institute known as Cal-Earth. 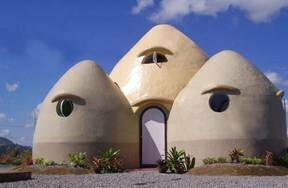 Their students have taken the earthbag buildings throughout the United States. 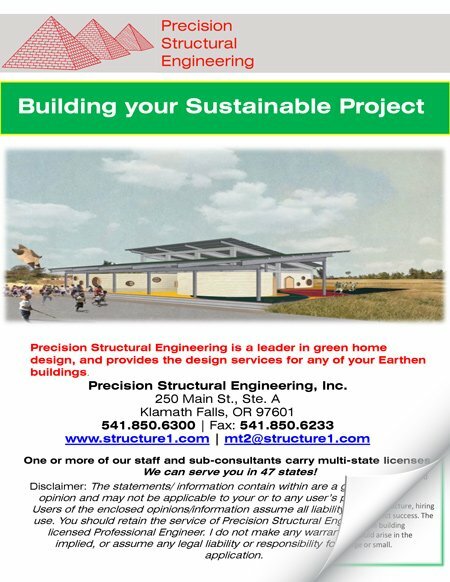 As a recognized structural engineering service provider, and a leader in green home design, Precision Structural Engineering recognizes the need for incorporating more environmentally sound building practices. PSE is licensed in many different States, and remains dedicated to working with local agencies to merge code enforcement with sustainable building practices. Contact us or read below to learn more about our earthbag building design. Earthbag construction is also known as Flexible-Form Rammed Earth (FFRE). Earthbag Building utilizes the ancient technique of rammed earth in conjunction with bags and tubs as a flexible form. Earthbag construction does not require as much time, attention, or forms as adobe or rammed earth construction requires. Earthbag homes begin with the bags themselves, which can be recycled grain bags, misprints, burlap, polypropylene, or other economic choices—they are both sustainable and cost-effective. The fill can be on-site soil or other local materials. Depending on the needs and uses of the completed project, certain materials are selected for either insulation or providing thermal mass. Generally, the fill is of a mineral composition and not subject to decay. Because these structures can take an endless variety of shapes, the need for traditional building materials, such as wood or steel, is negated. This saves both energy and precious natural resources. Please Note: The International Building Code and the International residential Code, or any other building Code, do not give us the power to give generic prescriptive structural design that could be applicable to any building. So, Please see the disclaimer below. Disclaimer: The above statements/ information are just a general preliminary opinion and may not be applicable to your or to any user's particular project. Users of the above opinions/information assume all liability arising from such use. You should retain the service of Precision Structural Engineering or a local licensed Professional Engineer. I do not make any warranty, expressed or implied, or assume any legal liability or responsibility for it's use and/or application.